If you’re looking for Newark airport parking deals that save you time, money and stress, look no further than Jiffy Airport Parking. Conveniently located one mile away from Newark Liberty International Airport, our free shuttle service will take you from your car to the airport quickly and comfortably. One hindrance travelers face when selecting airport parking is the lack of available free spaces. Instead of spending valuable time searching for an empty spot, guarantee your spot at Jiffy Airport Parking prior to your arrival. Simply go online and pre-book your stay to receive a reserved space for a lower rate. How would you like to earn free days just for staying with us? Any time you choose to park with us, you’ll receive a free Jiffy Frequent Parker Card. We’re proud to offer the best frequent parker program at EWR. Unlike other parking services, Jiffy Airport Parking offers all of our returning guests a free day of parking for every $100 spent. It’s that easy! You can even link your Frequent Parker Card to your credit card to redeem your free days. Grab your card today and start earning free parking with your first stay! 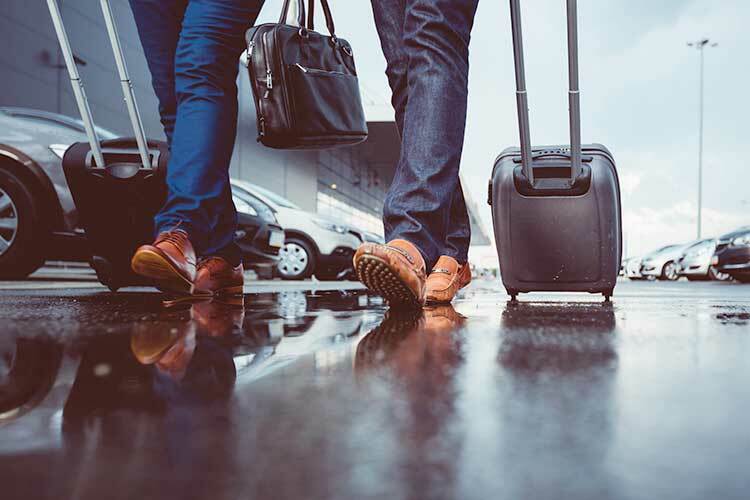 For businesses that frequently require employee travel arrangements, the cost of airport parking can become a significant expense throughout the year. While Jiffy Airport Parking already has the best Newark parking deals, we also offer discounts to companies that register with us. Our corporate customers receive special pricing which offers guaranteed reservations and the lowest priced premium valet parking at EWR. Jiffy Airport Parking is the closest off-site parking service to Newark Liberty International Airport. Our fast, free shuttles are constantly running to ensure you make it to your gate in a jiffy. We are proud to offer the best parking service at the lowest prices. Don’t waste your time and money fighting for on-site parking. For the best Newark airport parking deals, it’s got to be Jiffy!